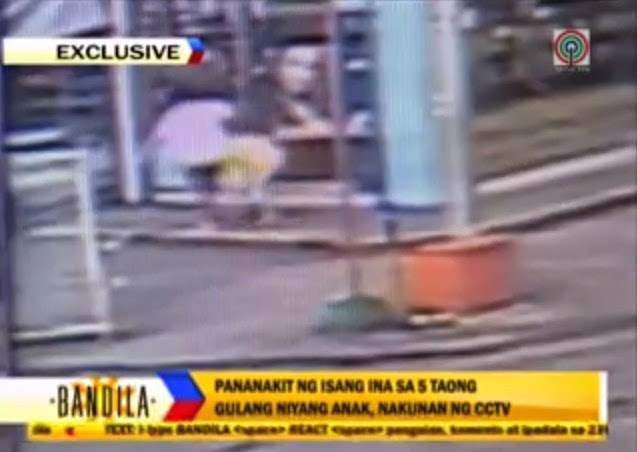 Manila, Philippines - ABS-CBN's News anchor and journalist Julius Babao tackles the viral CCTV footage of a mother, who beat her five-year old child in public on “Bistado” this Monday (August 4, 2014). The video also showed that there were concerned passers-by, who tried to stop the mother, but the latter went on hurting her kid. This incident, however, is no longer new especially to netizens. Last year, netizens also went abuzz after they watched a video of a mother hitting her daughter on the face with a garment and on the head with a dipper while she was taking a bath. Another case that went viral online was the video of a mother hitting her son with bottled water while riding a jeepney. How should parents discipline their children? How can parents avoid violence when it comes to disciplining them? Don’t miss “Bistado” this Monday (August 4) at 4pm on ABS-CBN Kapamilya Gold.